Instead of hosting summer camps, we provide programming for multiple summer camps in the Triangle! Below you will find information about how to incorporate our programming into your summer camp and which summer camps we are participating in! 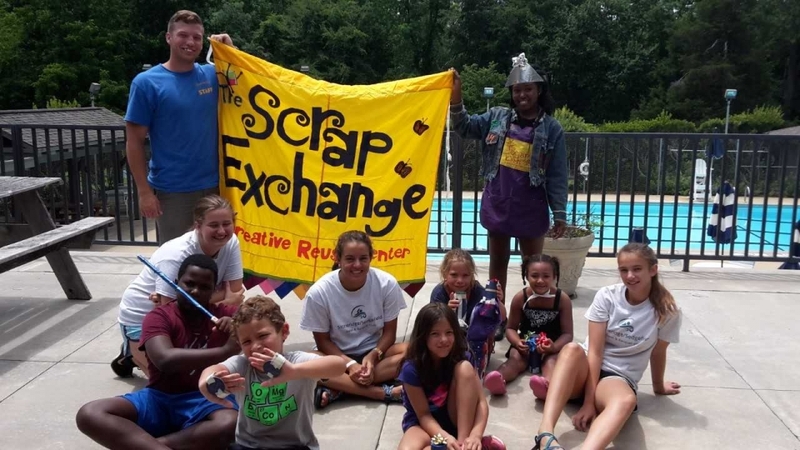 We are excited that you are interested in having The Scrap Exchange provide programming for your summer camp! Below you will find information about our programming options at our location and at yours. 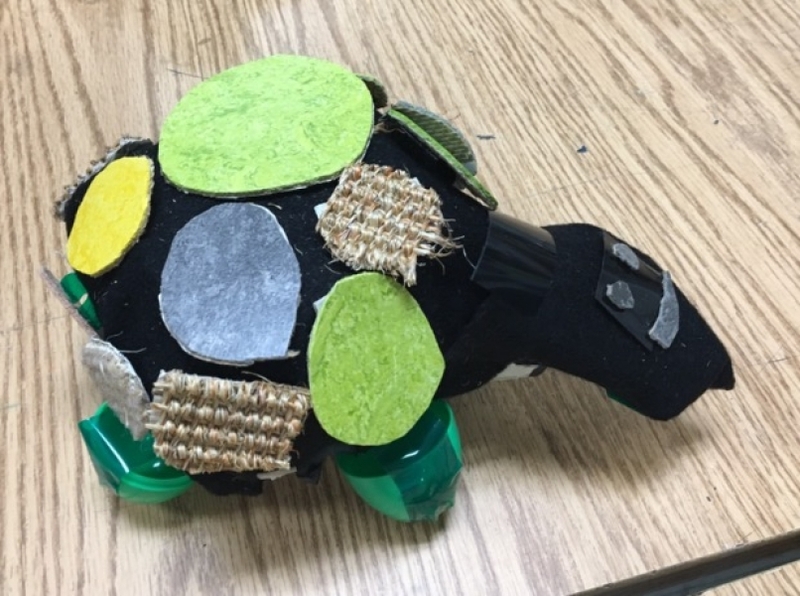 To request programming or for more information about pricing please fill out through our online form or email us at education@scrapexchange.org. We require advance reservations for all programs where we come to you as well as for all programs in our Make N Take room that include more than 10 participants. Programming should be scheduled at least two weeks in advance. Our schedule in the Make N Take room fills up quickly, so please contact us as soon as possible if you wish to book a program at our location. Our traveling program schedule is more flexible. Open Studio if self-led, Workshops are staff led. We love having groups visit our location! We are happy to be able to share our materials and programs with the community! Workshops: Workshops are priced based on the number of participants and the length of the program. This is a staff-led program. A Scrap Exchange staff member will introduce the group to basic concepts of creative reuse, explore the materials to be used in the program, and facilitate creativity throughout the length of the program. Participants use our fascinating collection of materials – industrial discards ranging from fabric to floppy disks (and everything in between!) – to create anything they can imagine. We provide barrels of materials along with scissors, tape and staplers to create with. 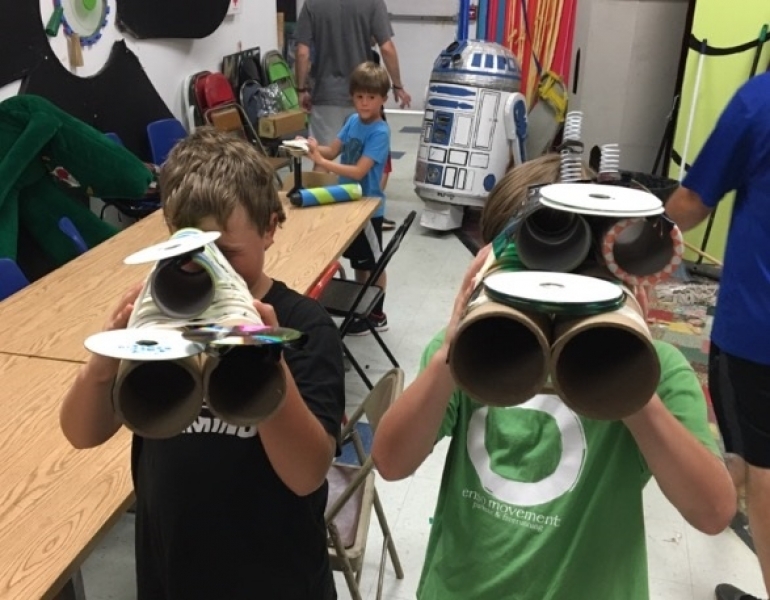 Creativity and imagination are unleashed as participants make rocket ships, costumes, robots, sculptures, and so much more. Participants can take home whatever they make. This program is best for ages 5 and up. Create funky instruments with reuse materials! Junk Jams is a creative program that allows participants to experiment with using unusual materials to create one of a kind instruments. Along with making an instrument (that the participants get to take home), they will have the opportunity to test out their new music makers with one of our trained facilitators. The program is designed so that anyone can participate — no musical experience necessary! This program is best for ages 4+. Just want to use our instruments? We also have an impressive array of 70+ instruments built from buckets, tubes, cans, pots, and other fantastic upcycled materials that are available for rent! This portable kit contains obsolete electronics and old appliances that participants can dismantle. Inside, they’ll find transistors, circuit boards, keys, buttons and other interesting gizmos and gadgets. Participants may take the pieces home or leave them behind for us to reuse. Kids and adults can see the components that allow electronics to operate … without having to try to figure out how to get it all back together! We provide all items to be dismantled as well as tools (screwdrivers, wrenches) and safety equipment (gloves, safety glasses). This program works best with small groups (10-20 participants), ages 8 and up. 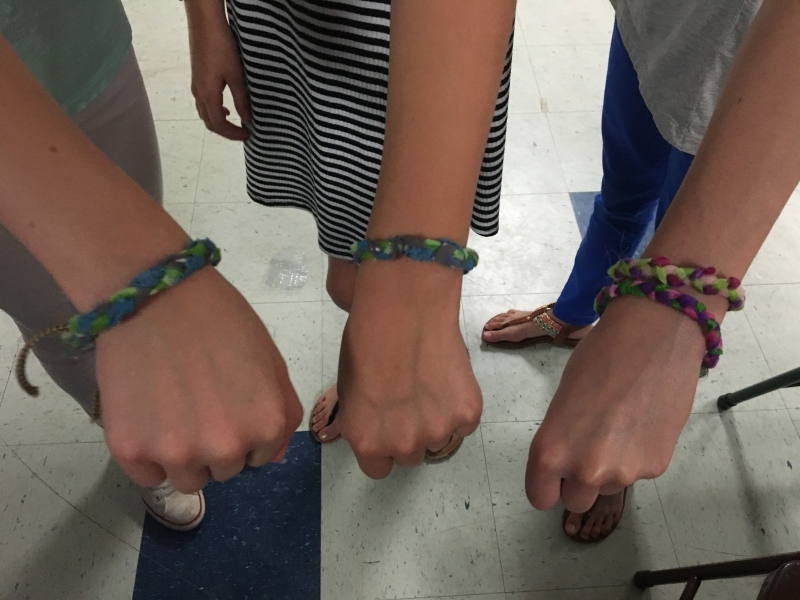 Bring The Scrap Exchange to Your Summer Camp! We love participating in summer camps throughout the Triangle! We have worked with groups of all sizes. We are also happy to accommodate specific summer camp themes with custom programs. Our off-site programming is priced based on three factors: number of participants, length of the program, and distance from our location. For a quote specific to your camp, please provide us with your information through our online form. We will have a list of 2018 summer camps that will be including programming provided by The Scrap Exchange very soon! To request more information or to book a program, please contact us at education@scrapexchange.org or call us at 919-401-0553. Our normal office hours are from 9:30 to 5:30 Monday through Friday.